Just about all U.S. waters will soon be open for drilling if the Trump administration has its way. 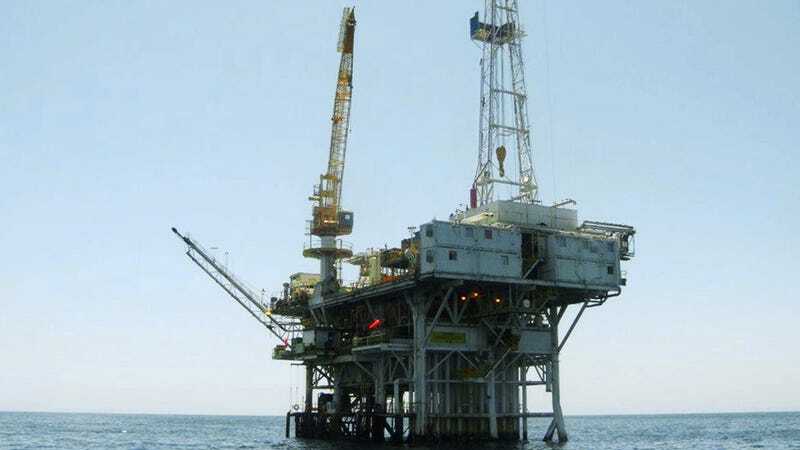 On Thursday, Department of Interior Secretary Ryan Zinke announced the draft National Outer Continental Shelf Oil and Gas Leasing Program. The proposed program covers the next five years, starting in 2019. In short? Zinke wants fossil fuel companies to have access to 90 percent of U.S. waters. Currently, 94 percent of waters are closed off to this type of exploration and development. So, you know, people are pissed. Trump has been clear from the get-go that fossil fuel development was a priority, so this move doesn’t exactly come as a surprise. His March executive order on “energy independence” paved the way for this moment. Just last week, on December 28, the administration announced a rollback of Obama-era safety regulations on offshore drilling—rules that could have prevented the 2010 Deepwater Horizon spill in the Gulf. But 800,000 public comments apparently fueled this new proposal, particularly those from congressional Republicans, who urged opening U.S. waters in separate letters to Zinke last year. Public input will continue now that this plan is out, a process that could take as long as 18 months, according to The New York Times. The draft lays out 47 potential lease sale regions: 19 off the coast of Alaska, seven in the Pacific, 12 in the Gulf of Mexico, and nine along the Atlantic. This is the highest number of sales the DOI has ever proposed in its five-year schedule. “By proposing to open up nearly the entire [outer continental shelf] for potential oil and gas exploration, the United States can advance the goal of moving from aspiring for energy independence to attaining energy dominance,” said Interior Counselor for Energy Policy Vincent DeVito, in a press release. Former President Barack Obama saw things differently when he was in office. He moved to protect many of these same regions from oil and gas development and the potential ecological devastation they bring. Fishing communities, including Alaska Natives, depend on offshore waters that could soon be open for business. The Arctic National Wildlife Refuge and Grand Canyon aren’t even off the table for oil and gas extraction anymore. When climate-denying Florida Gov. Rick Scott tweets in disapproval of a new pro-fossil fuel plan, you know things are bad.